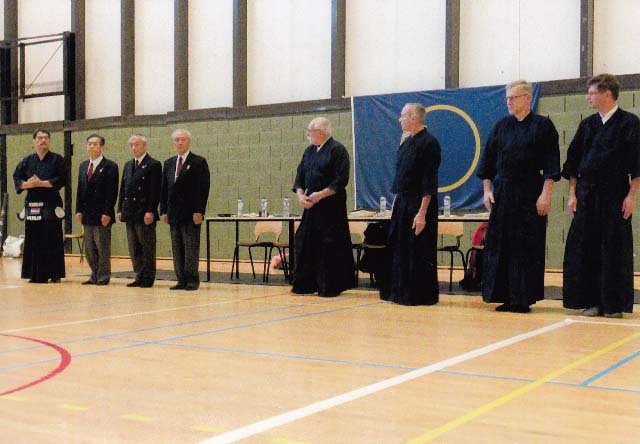 FIK European-zone Kendo Referee Seminar was held on 31st January and 1st February 2015 in Brussels, Belgium. 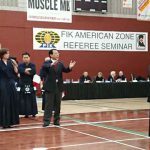 The seminar was started from 31st Jan. there are formal trainees of 87 from all over the Europe, and some local players for referee training, total participants were more than 100. 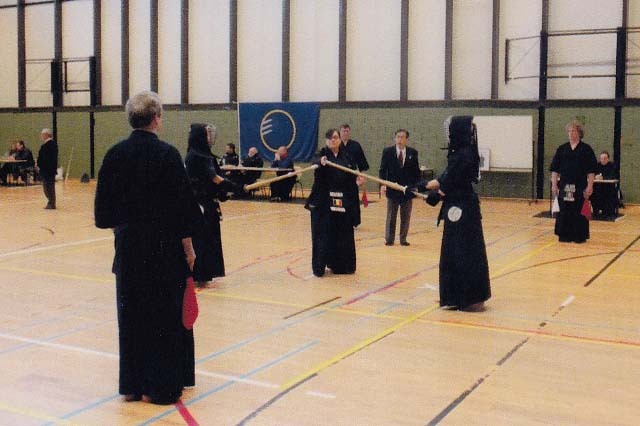 Beginning part of the opening ceremony, all participants prayed in silent for European Kendo-ka who are recently passed away in Europe .After the opening message by Mr. Alain Ducarme President of European Kendo Federation and Vice President of International Kendo Federation, ENDO sensei explained the propose of this seminar and important points. 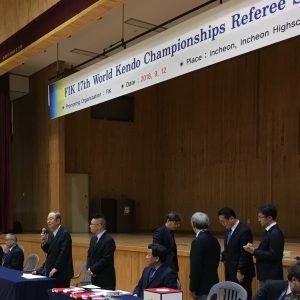 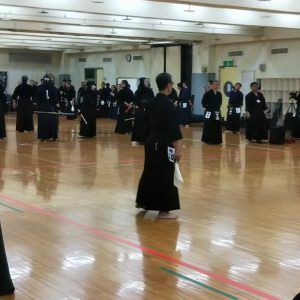 After that the refereeing seminar of Jitsugi was started immediately.